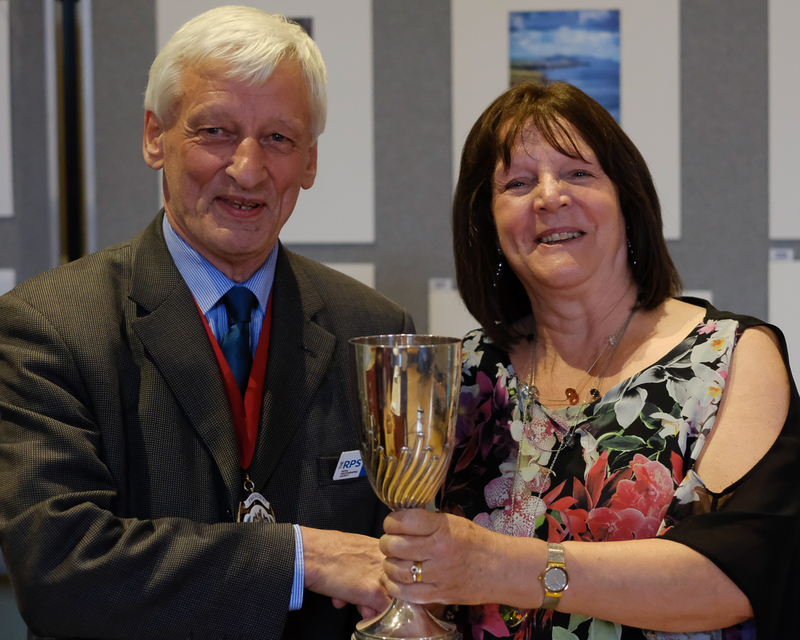 John Field has kindly volunteered with Hilary Featherstone to look after external exhibitions. 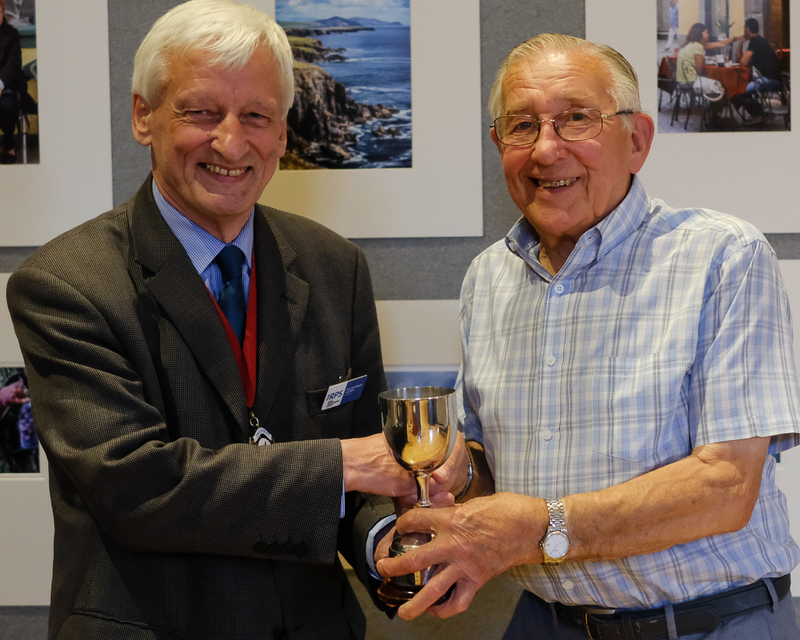 The Club mounts a permanent exhibition at St Wilfrid’s Hospice, changed 2 or 3 times a year, which is much appreciated by the residents at a particularly difficult time of their lives. We would like to provide a new display in October and to that end John is requesting members to bring prints for consideration. A box will be put out at the next 3 Camera Club meetings on Thursdays so please bring a selection of images in the usual 50 x 40cm mounts. 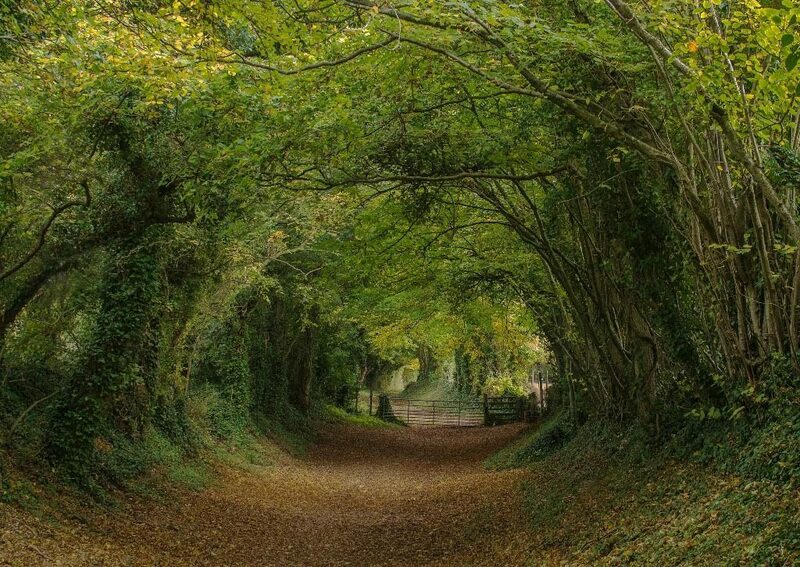 We need at least 40 prints from which a selection of around 30 will be made. 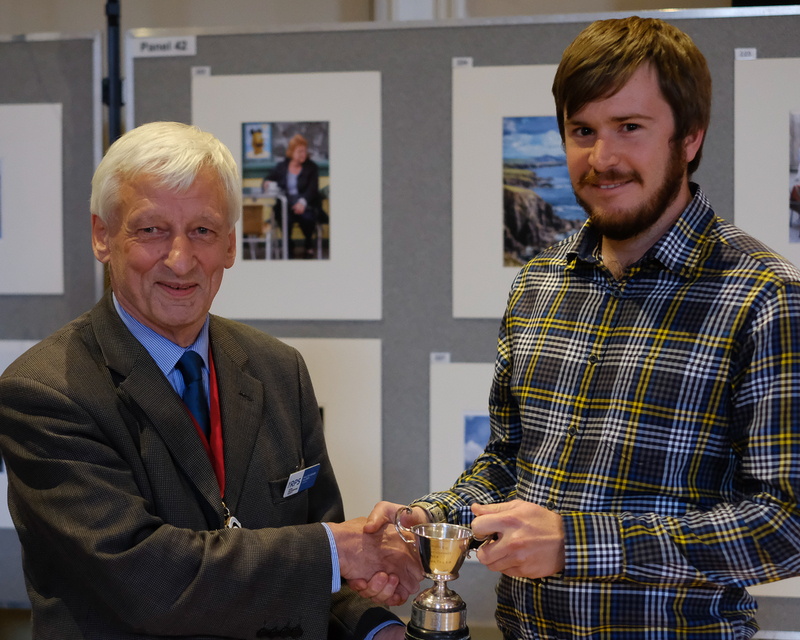 Visitors to the Annual Exhibition are asked to vote for their favourite print, a task that can prove difficult as the response to all the prints has been very positive. 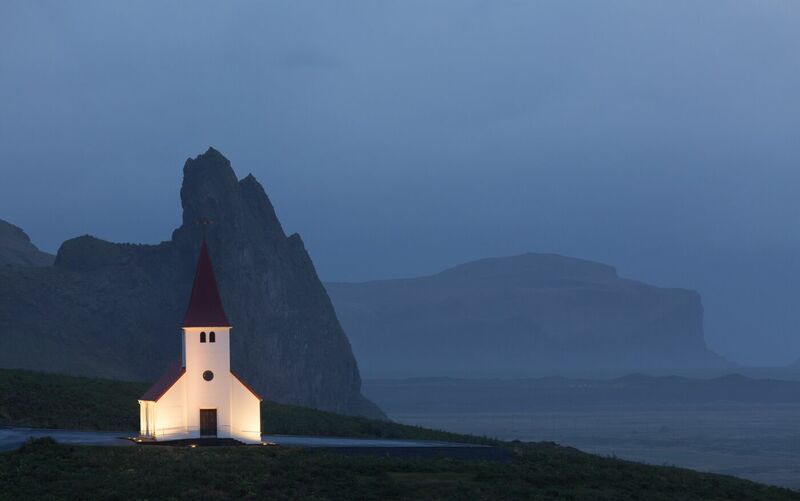 The range of styles and topics was – as always – very diverse, and it’s good to note that every photographer won a vote and the outcome was close run. 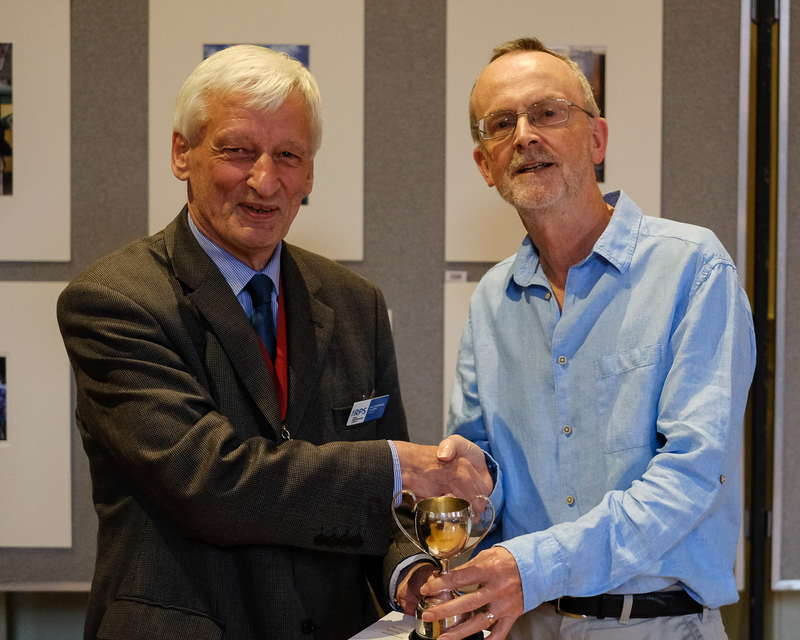 The winner however was Sheila Tester for Church at Vic, with joint second place going to John Field for Path up to the Windmill and Peter Rocchiccioli’s Camel Herder. Stephen Tattersall’s Dusk at West Wittering came in third. The winning voting slip will be drawn at the first Club meeting of the new season, Thursday 7th September and the winner notified shortly after. The Annual Exhibition will end at 5.00pm on Saturday 12 August 2017. This is a reminder to all exhibitors to come along to the Assembly Room before 5.00pm on Saturday to be ready to take down your prints. If you are unable to attend on Saturday, please would you ensure that someone else can do this for you. 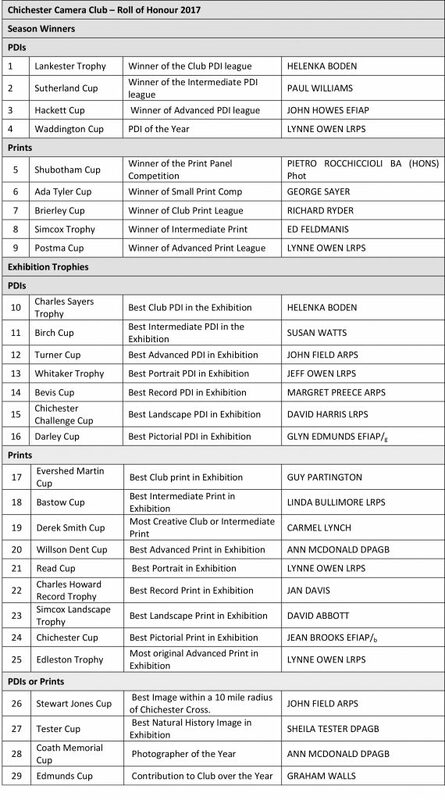 If one or more of your prints has a coloured ‘Post-It’ sticker on it, please would you leave the print(s) on the exhibition panel as these will be taken and assessed by the Selection Committee for external competitions during the forthcoming season. The dismantling of the Annual Exhibition requires as many volunteers as possible to assist, so that we can clear the Assembly Room as quickly as possible and leave the venue in a tidy state. Once you have taken down your prints, please would you stay behind to help with dismantling and loading exhibition equipment onto the van. This task usually takes around 40 minutes, but the more help we have the quicker we can clear the venue. Finally, once everything is loaded onto the van, I will need at least 8 or 9 volunteers to help unload and store the exhibition equipment at Tangmere Village Centre. 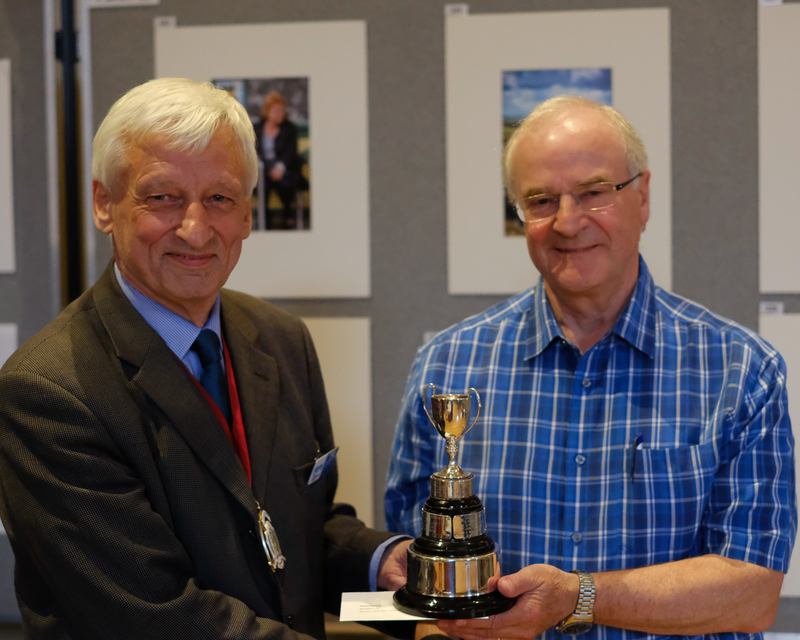 Annual Exhibition – a flying start! 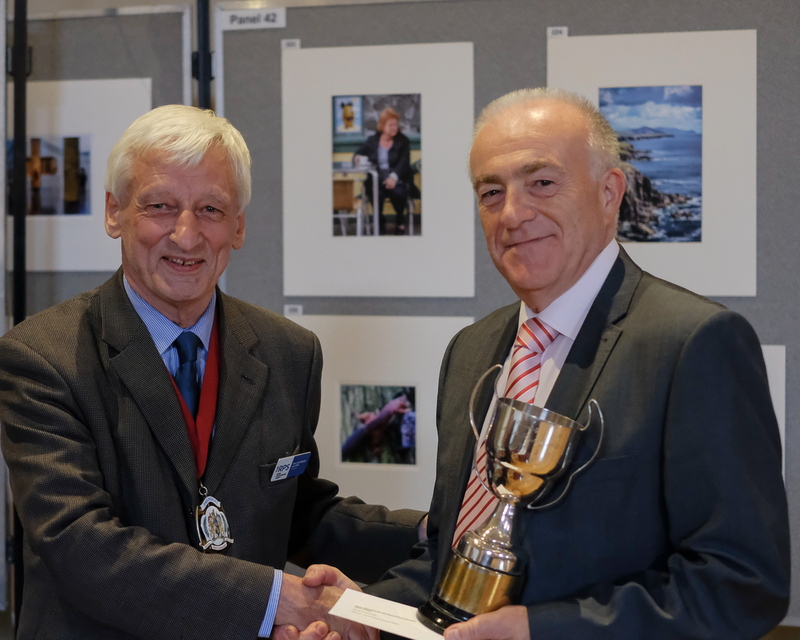 The Annual Exhibition is off to a splendid start with our traditional Preview Evening and very good attendance on the first few days. 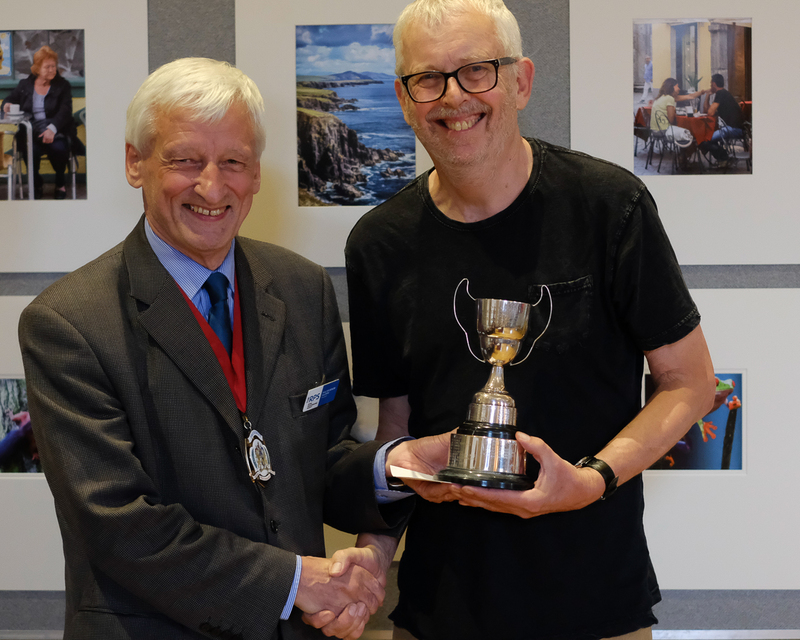 Our Preview Evening on Friday was very enjoyable, with our families and friends, friends from some 40 of our sister Clubs across the region, some of our speakers and judges and our guest of honour, Walter Benzie, the President of the Royal Photographic Society, who made our presentations. 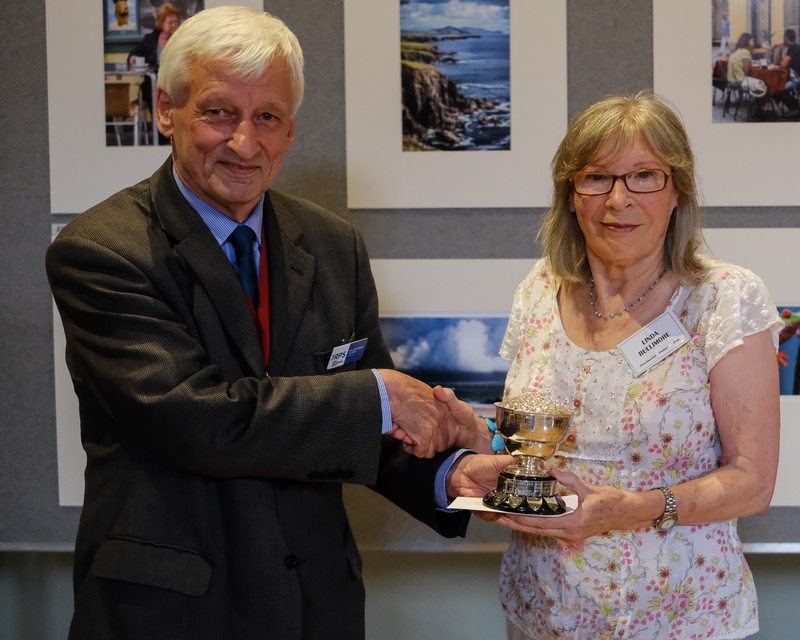 The success of the exhibition and the Preview Evening is due to the hard work of our army of volunteers, especially on Friday evening that of Sheila Tester and her team for the buffet! Thanks are due to Dave Abbott for ensuring all those 29 trophies are correctly engraved and distributed, to John Howes and the strong arm team for getting all the hardware for the stands up, moved for the Preview and replaced for the exhibition, to Carmel Lynch and all the contributors for the raffle and to Jeff Owen for the PDI presentation. 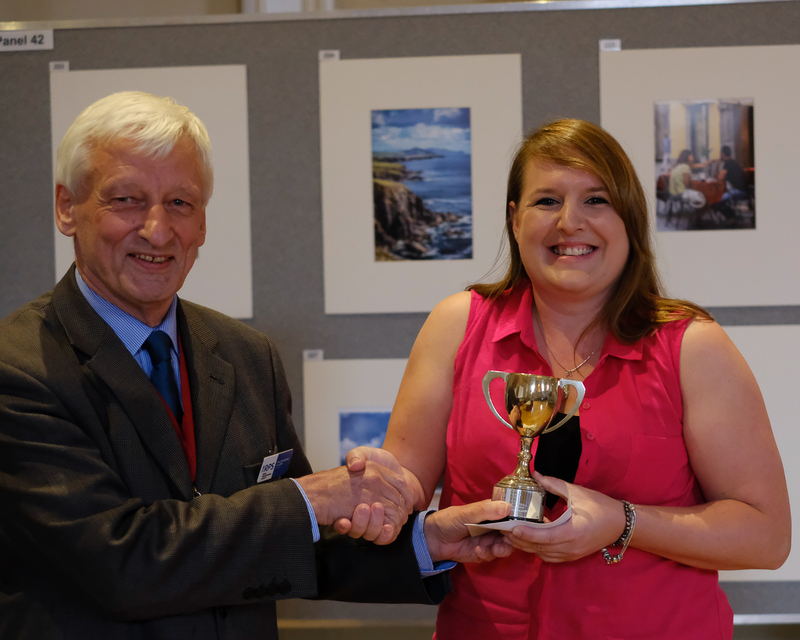 Jeff also looks after the database that supports the judging and selection process, for which we must also thank our judge this year, Alison Cawley, and the Selection Committee, chaired by Peter Rocchiccioli . 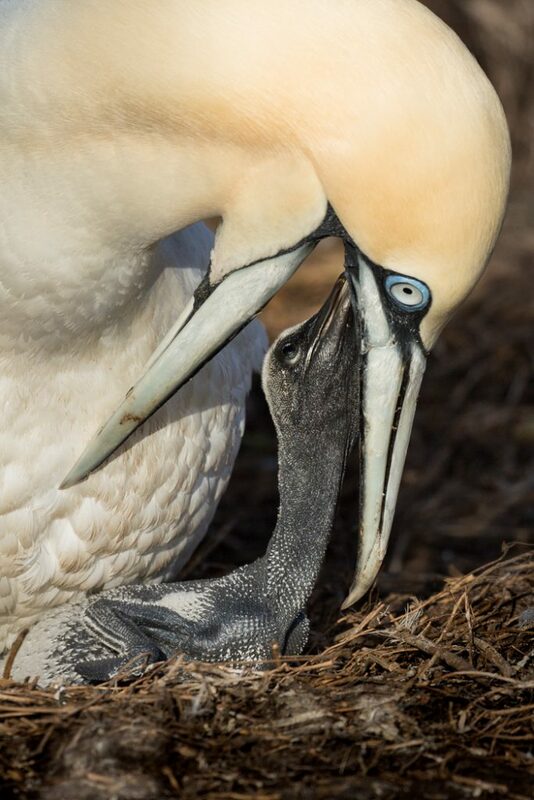 Peter once again has secured a superb range of sponsors, including that for our excellent print material from Aperture (and the special photobook discount you can find in the catalogue). 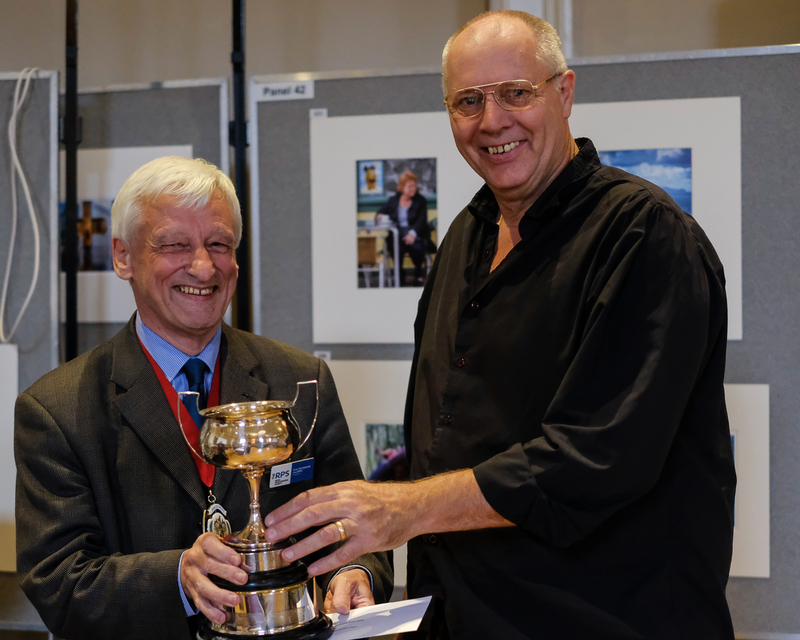 It was good to have Fotospeed with us on Friday and the London Camera Exchange on Saturday – and a special mention too for Mifsuds who also donated equipment for the raffle and for sale. 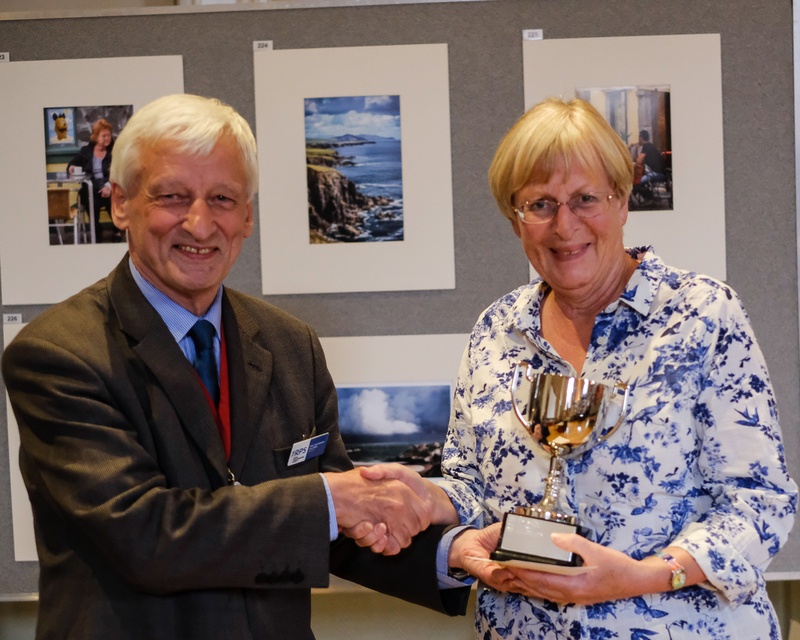 Thanks are also due to Cath Water for her work on publicity and of course to all the stewards over the week, and of course to all our exhibitors without whom the exhibition simply couldn’t happen! 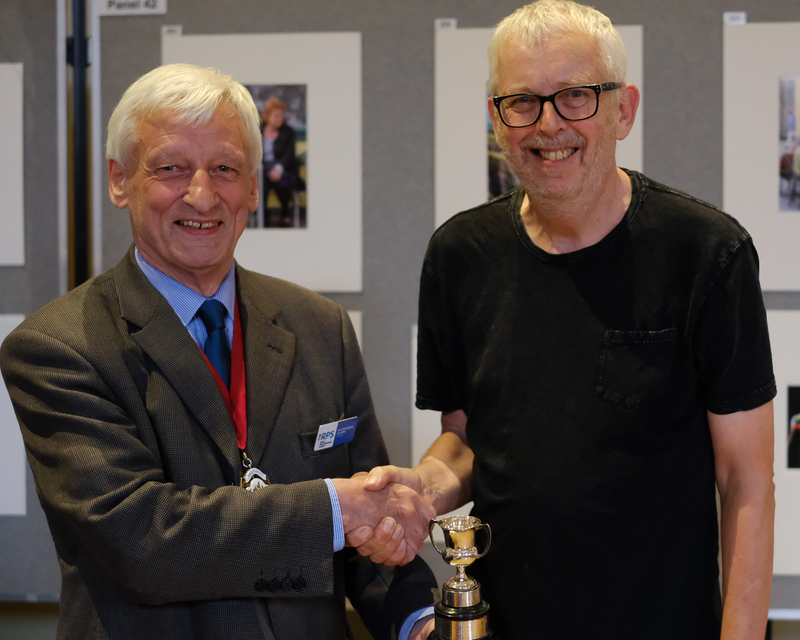 Finally, many thanks to Wojtek Boden, this year’s Exhibition Secretary who brought all these disparate elements together and to our Vice Chair, Mike Hancock, who has been quietly working away supporting all our efforts. 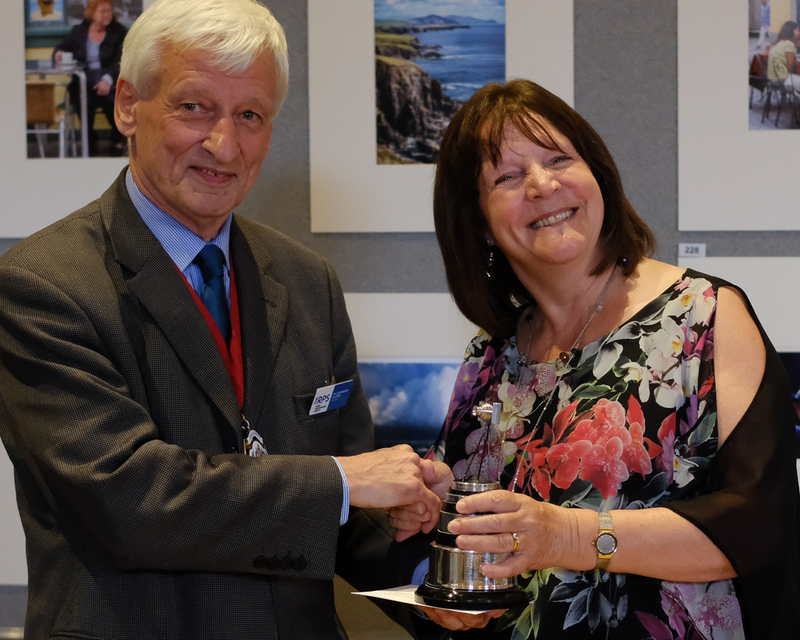 The main feature on Friday was naturally the presentations, and it was good to see new members doing well, with Helenka Boden, George Sayer and Richard Ryder all achieving awards in their first year of membership. 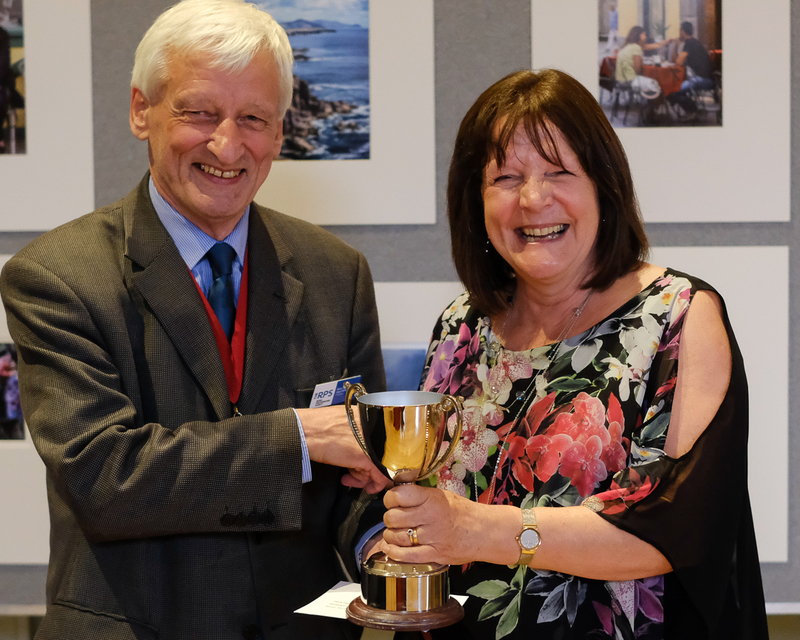 Carmel Lynch was thrilled to receive her first cup, and Glyn Edmunds, despite all those letters after his name, was very pleased to receive his first cup for a digital image! 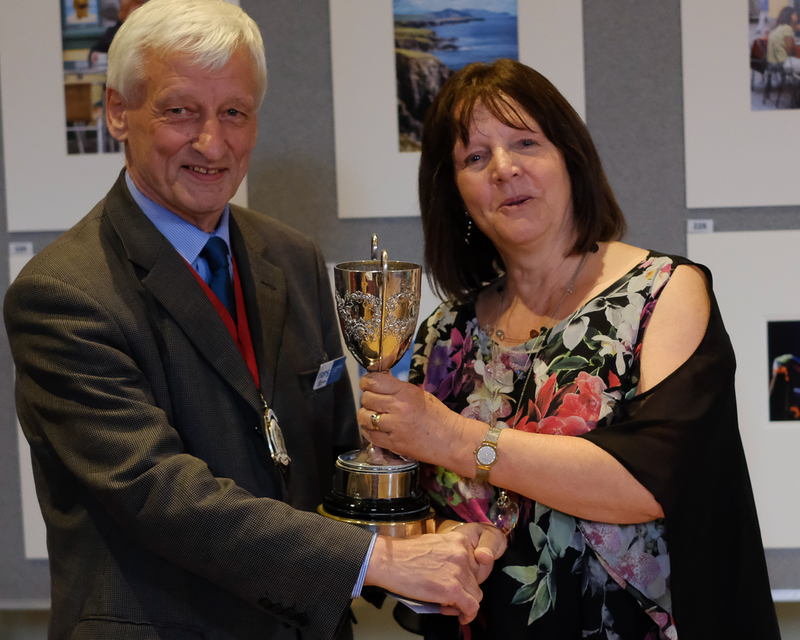 Special mention however has to go to Lynne Owen who had a splendid evening, winning not only four cups but also receiving her CPAGB from the President of the SCPF, our own Peter Rocchiccioli who also presented Ross Laney with his DPAGB. 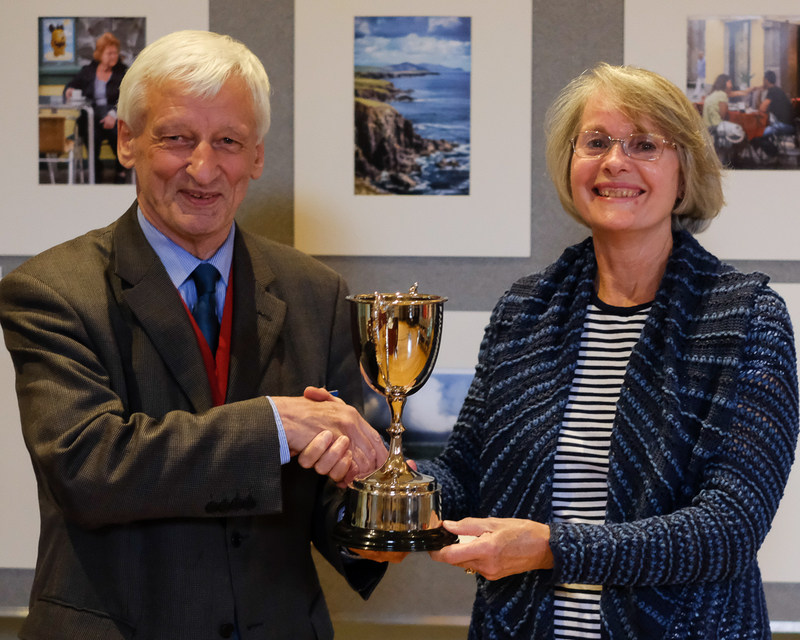 A fitting award was the Edmunds Cup to Graham Walls for services to the Club – very well deserved and a very popular award – as was the award of Photographer of the Year to Ann McDonald. 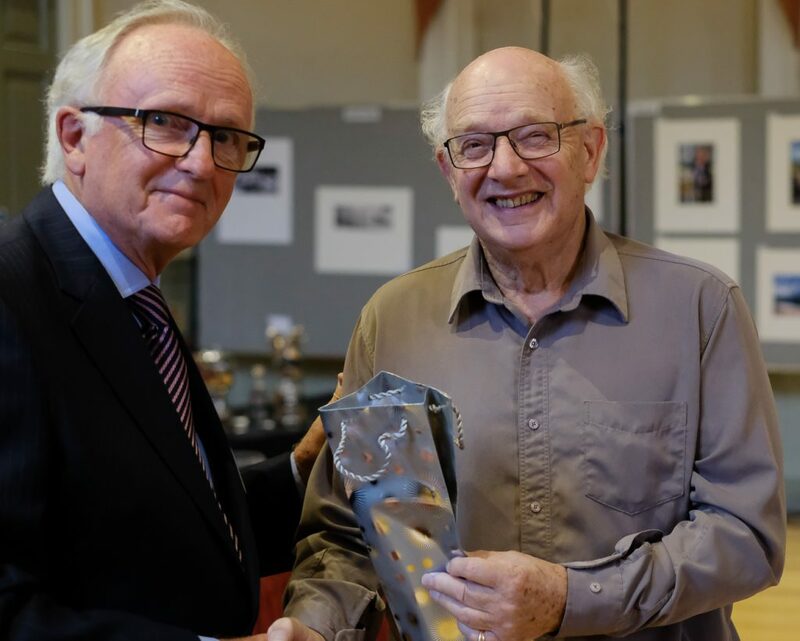 You can see the roll of honour and the photographs from the awards on the separate post, along with the award to Graham Sergeant of Life membership – another popular and well deserved award. It was an excellent evening, so thank you once again to everyone who made it so successful! Our new President John Bradshaw congratulating our new Life Member:Graham Sargeant. 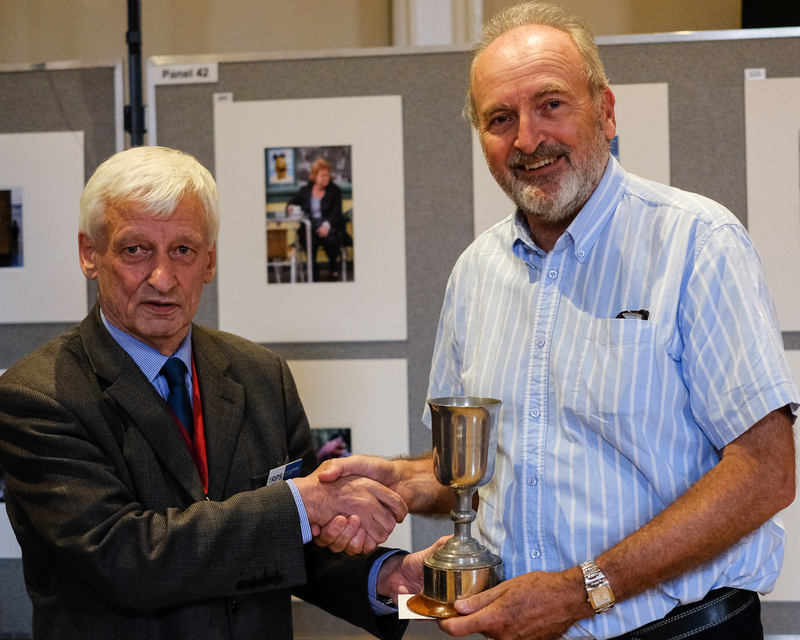 Plans are well underway for the opening of the Club’s major Annual Exhibition next week – for which many thanks are due to all those who have already given their time and skills in this complex fete of organisation. BUT!!! We still need volunteers to ensure everything runs to plan, so please do check out the list below and see where you can assist. The ‘Strong Arm Gang’ – for setting up and dismantling the exhibition stands we need helpers at 4pm at Tangmere Village Centre on Thursday 3rd August. This is to load all the equipment onto the van, and to collect stands from Oving ready for taking to Chichester. On Friday 4th August at 8.40am at the Assembly Room in Chichester, we need plenty of volunteers to help unload and to set up the gear ready for mounting the prints. During the evening we’ll also need strong arms to reset the exhibition after the presentations. Don’t worry – Sheila Tester, our catering supremo, takes very good care to ensure you won’t miss out on the buffet (or the wine!). Dismantling on the Saturday 12th August also needs helpers to undertake the set up in reverse from 5pm – please don’t forget! All Members – all Members who are able to should attend the Assembly Room to put up their own prints on Friday 4th August from about 9.45am. Everything you need and guidance on mounting the prints will be available, but it’s helpful if you can bring your own tape measures and levels. Similarly, please do be there on Saturday 12th August at 5pm to take away your own prints. Stewarding – there are still gaps in the Stewarding rota, please contact Wojtek Boden for the latest situation if you can find an hour or two to help. 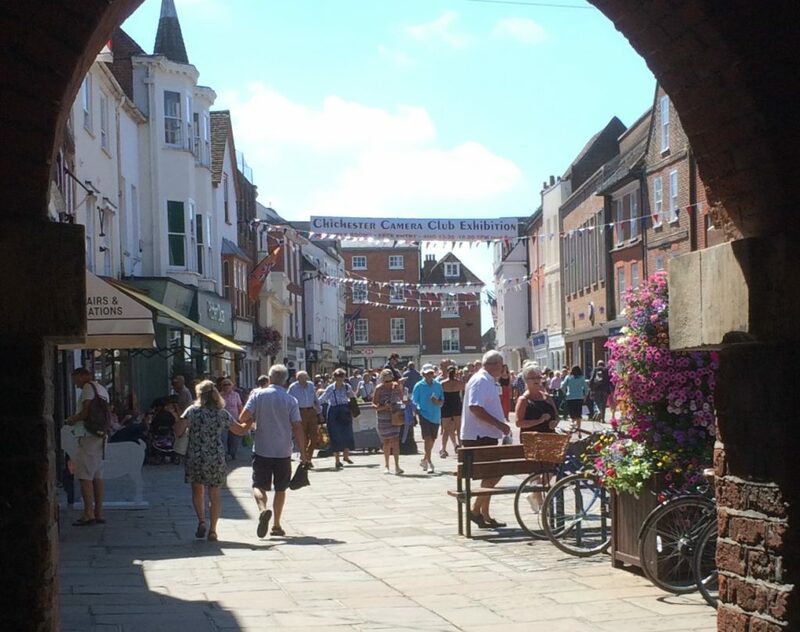 Buffet – Sheila Tester will be pleased to receive finger foods for the buffet from 5pm on Friday 4th August, or, if you prefer, cash donations to Sheila so she can supplement the buffet for the evening. 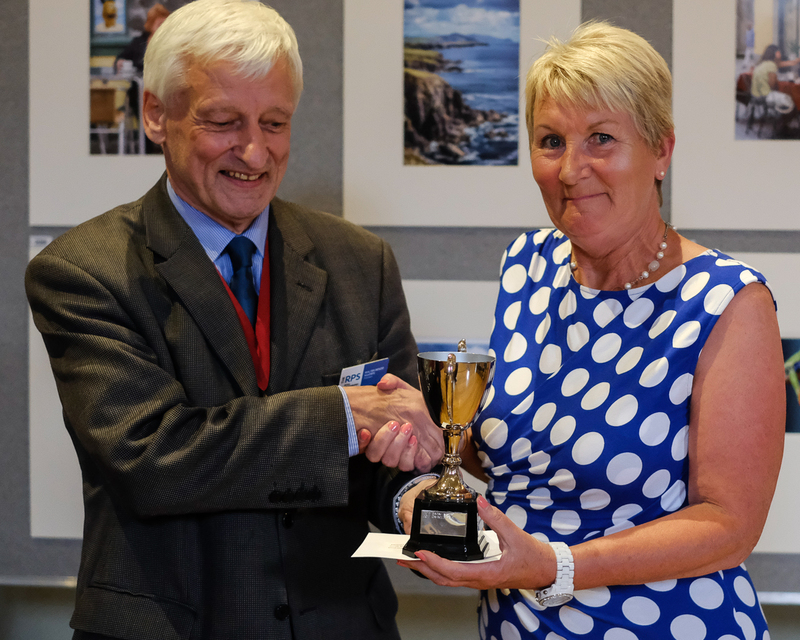 Raffle – donations for the raffle to Carmel Lynch for Friday 4th August please. These can be left at the Assembly Room during the day or brought along in the evening. It is the sterling efforts on the part of Club Members that mean our Preview on Friday 4th August at 7pm for 7.30pm, for all Members, our guests and friends, is always an excellent social occasion and a chance to promote our Club, acting as it does as a curtain raiser for the highly regarded exhibition. So it’s many, thanks thanks to everyone for all the contributions – not least the 450 plus images themselves without which the exhibition would be rather flat! 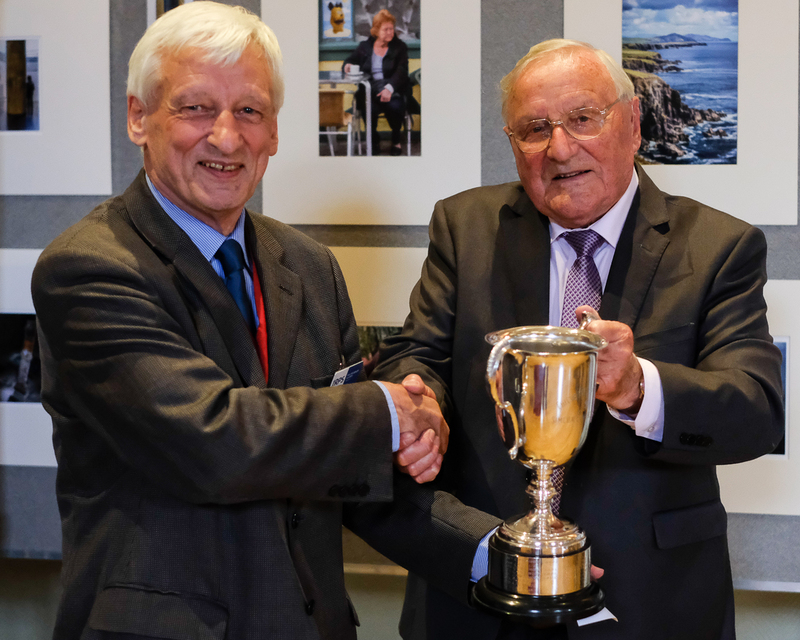 The summer might seem like a quiet time for the Club after the seasonal programme ends in May but behind the scenes there has been much going on behind in readiness for the Annual Exhibition. 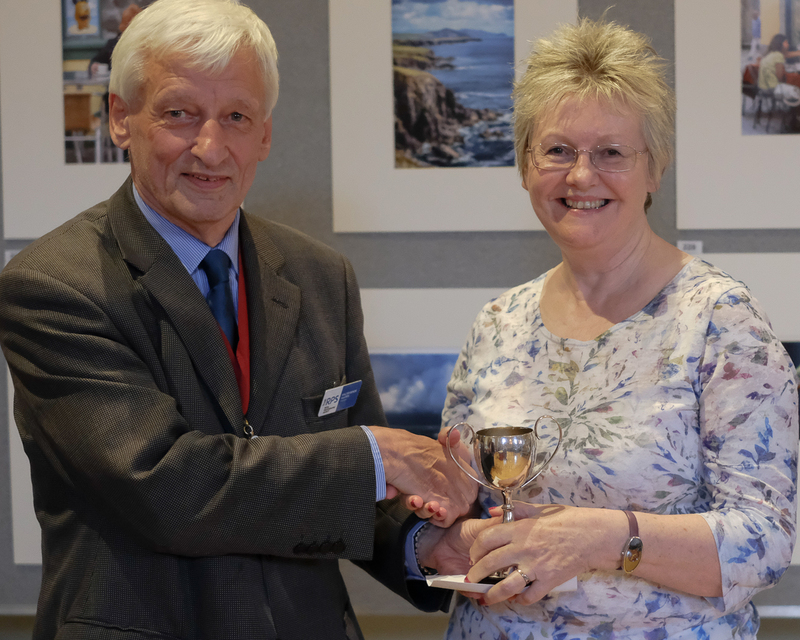 You will see the website now sports the exhibition poster – with Angela Acland’s eye-catching image of New York and on the Exhibition page, a lovely image by Liz Boden from Lordington Lavender which graces the flyer. Both poster and flyer will be available at the Members’ Pre Exhibition meeting next Thursday, 27th July at Tangmere at 7.30pm – do please collect some to distribute and help publicise the exhibition. 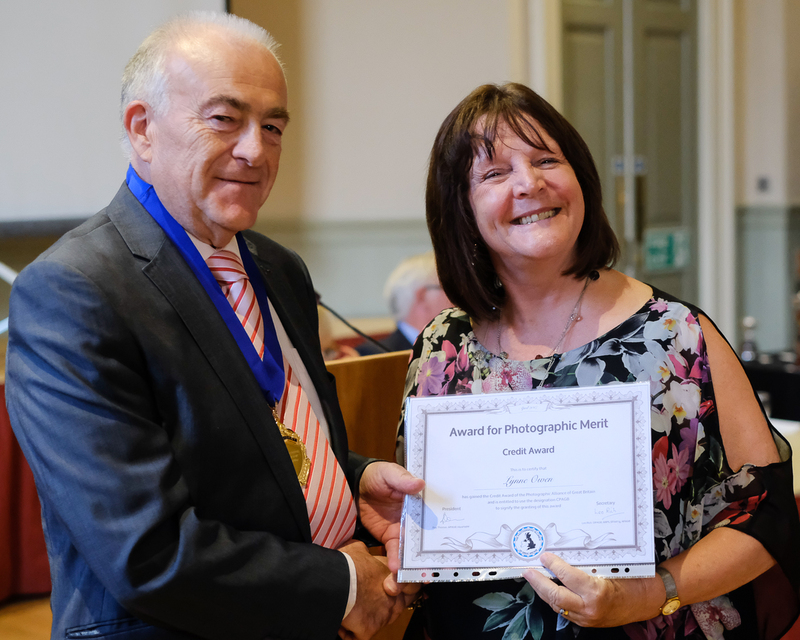 This meeting is for all Members and when you will hear how images submitted for the exhibition have fared – you will receive your certificates and copies of the catalogue will be available. There is of course much still to do, stewards are still needed and Sheila Tester, our buffet catering supremo, still needs assistance. Do please see the details of the help still needed in the separate item from Wojtek Boden, our Exhibition Secretary. The Exhibition Preview is at 7pm at the Assembly Room in Chichester on Friday 4th August – all Club Members and their guests are very welcome. 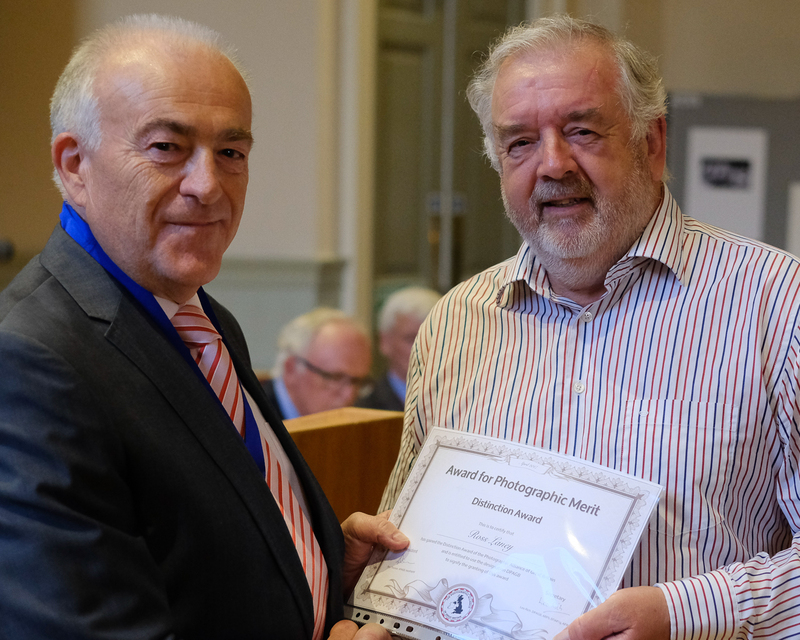 The Club Awards will be made that evening and we are delighted that Walter Benzie, the President of the Royal Photographic Society will be our guest of honour and will be making the awards. There will of course be our traditional buffet (thanks to Sheila and her army of helpers) and then the exhibition will be open to all our guests, who include our friends from neighbouring clubs. 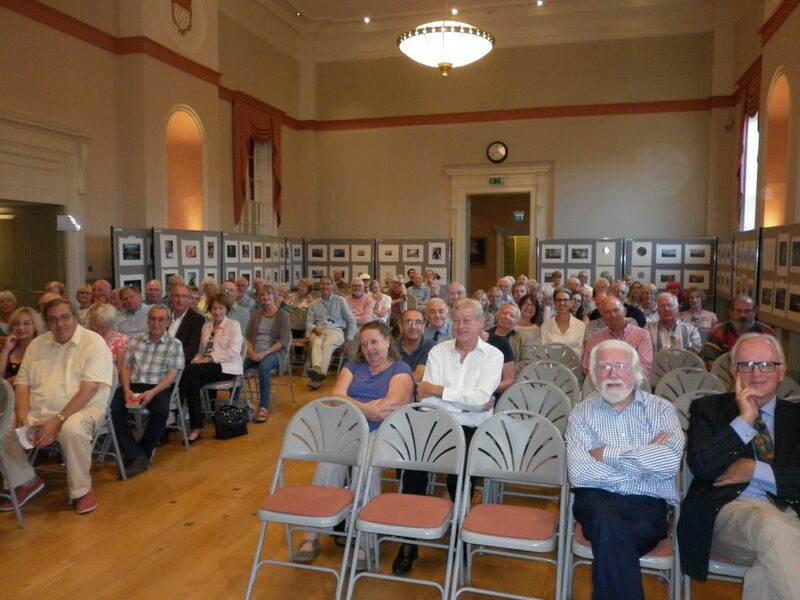 We open to the public on Saturday 5th August – and thanks to the considerable work undertaken by our Members, the quality of the images on show and the reputation our exhibitions have, it will I am sure be another very successful week. 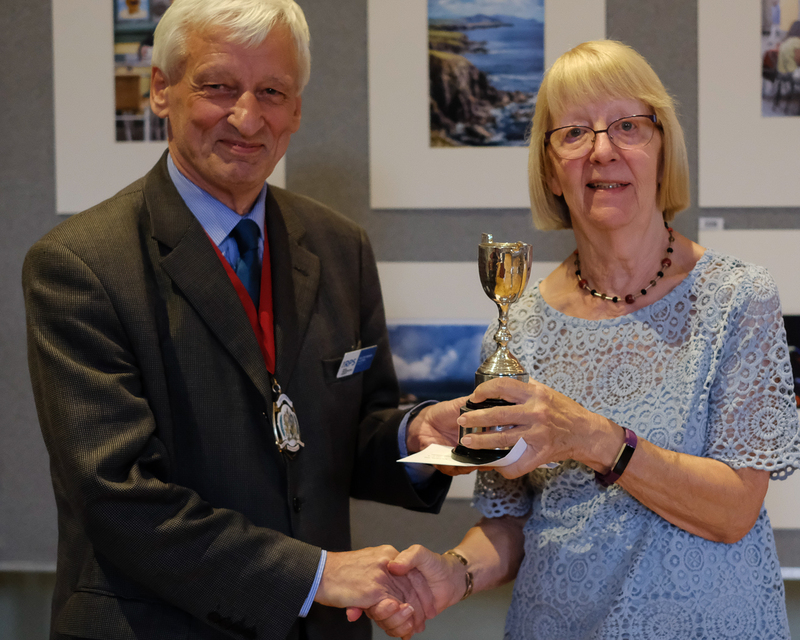 Don’t forget to come along at the close of the exhibition on Saturday 12th August to collect your images (any images that weren’t selected for the exhibition this year may be collected on the 27th July). The success of the Club is based firmly on our regular programme of activities, and you will have received notification that following a very positive discussion at the AGM, the annual subscription will be £60 for the forthcoming season . You can pay by bank transfer or by cheque and these must be paid before the start of the programme. 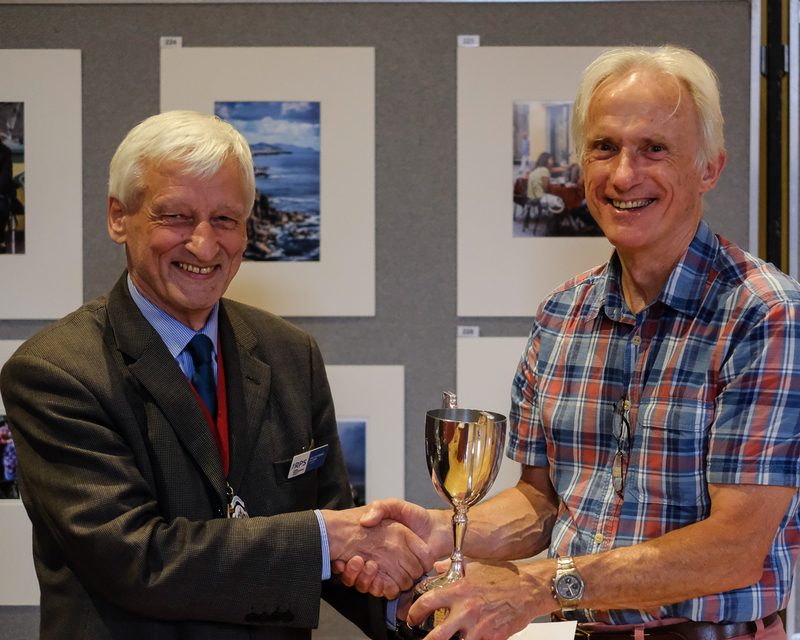 Next year’s weekly programme has once again been put together by Glyn Edmunds and kicks off in great style with the popular Guy Edwardes on the 7th September with A Professional’s Approach to Photography. 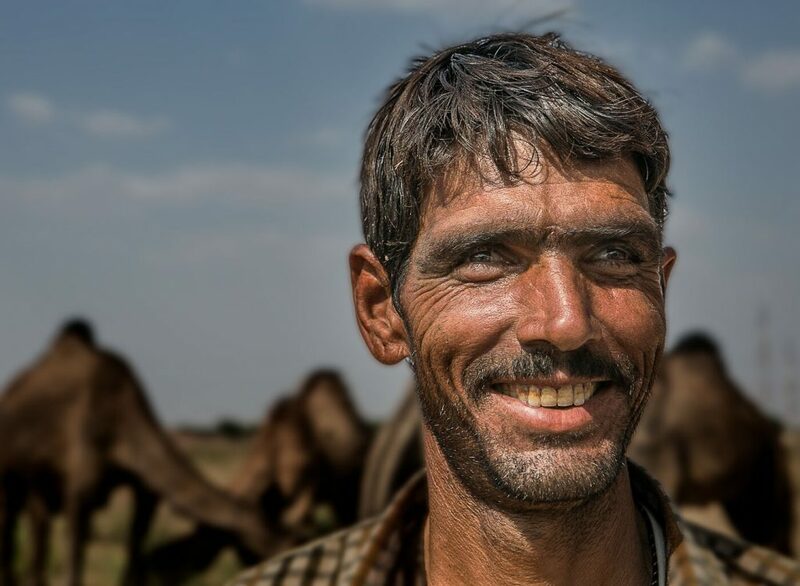 The summer might not be everyone’s favourite time for being out with a camera but the exhibition is a real photographic highlight both as something of a culmination of the previous season’s achievement and a foretaste of what is to come. I’m looking forward to seeing it all in place and to seeing Club Members and our many visitors over the week.